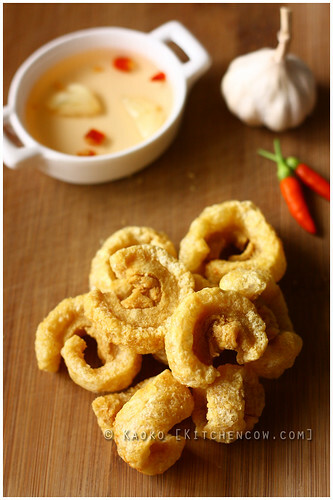 Mention fried pork skin and fat to a non-Filipino and you get cringes. Pork fat and skin? But to a Pinoy? Chicharon spells heaven, cholesterol issues be damned. 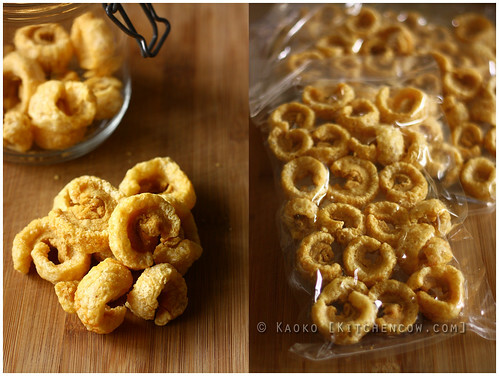 One such chicharon brand that makes me forget about healthy-eating is Kirby’s Chicharon, a homemade brand from Cebu. I didn’t know what I was getting into when I was persuaded to sample the product. “It speaks for itself,” Manila seller Diane told me. I was quite surprised to receive vacuum-packed chicharon in the mail. Not exactly a new product, I told myself. Still, with an open mind, I tore the bag open and took a bite. And another. And another. I kept on munching, all the while extolling how crunchy and addictive it was. I was so busy “tasting” the chicharon, I forgot to grab some vinegar to go with it. Kirby’s Chicharon is dense, each bite fully enveloping your mouth with chicharon goodness, yet it’s also surprisingly light. Not in the airy sense, but in that ‘it wasn’t heart-stoppingly greasy’ sense. Instead of the puffy chicharon sold on street corners, Kirby’s has a thin, crisp layer of skin, a layer of fat and a smattering of meat, reminiscent of how my own Lola used to cook chicharon at home. As with most chicharon, Kirby’s is perfect for snacking. Dipped in vinegar, it goes well with an icy beverage of your choice. 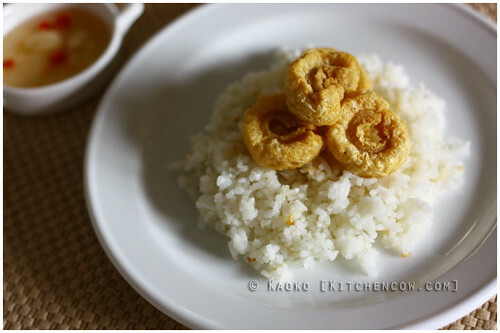 But, it’s also the kind of chicharon I love pairing with rice. Ulam-worthy, really. Don’t tell me it sounds weird. I know I’m not alone when it comes to eating chicharon with rice. Sinangag even, and lots of spicy vinegar and tomatoes. I could continue waxing poetic about this particular chicharon, but I agree with Diane. It speaks for itself. If you want Kirby’s Chicharon to work its chicharon magic on you, email kirbys.chicharon.manila@gmail.com or SMS +63917-554-3325 and get it delivered straight to your doorstep. It’s something you won’t regret doing. Kitchen Cow was given samples for review. No compensation was received. Ako rin! Wait, correction. I don’t want one. I want lots! Chicharon on rice? Oh my gaz. Tummy grumbling! Oh yez. Breakfast of champions. And lunch. Dinner and merienda too. Oh, this is deadly. And highly addictive. Very much so. I desperately want some now. I don’t eat pork, but damn, I’m curious! Ayokong maging dahilan ng pag fall off the wagon mo, hahaha! Sorry Frances, I’ve no idea. Maybe the Kirby’s people can help you better. hi. do you have landline and mobile number or kirbys chicharon? the mobile number lacks 1digit..
Hi Kath! Sorry for the mistake. I fixed it already, thanks for letting me know.